Although Florence may not be the largest city in Italy, it boasts an unrivaled number of museums and historical monuments including stunning palaces, churches, and cloisters. Below are the tours that I offer and the approximate times of each visit. Remember that I can tailor any visit to fit your schedule and am happy to mix and match different museums/sites to suit your interests. Originally constructed as a 16th century office building, the Uffizi now houses the greatest collection of Italian Renaissance art in the world. This museum offers visitors a chance not only to admire some of Michelangelo’s greatest works, but also a host of 14th through 16th century paintings by Renaissance masters such as Botticelli, Filippino Lippi, and Agnolo Bronzino. Once the private, ducal residence of the Medici family, the Pitti is now home to an amazing collection of Renaissance and Baroque paintings as well as period furnishings. The Pitti offers visitors two separate tickets, one to the Palatine and Modern Galleries and the other to the Boboli Gardens, the Costume Museum, and the Silver Museum. This former prison houses one of Italy’s finest collections of Renaissance sculpture including works by Donatello and Michelangelo. For visitors interested in ancient Greek, Etruscan, Roman, and Egyptian art, the Archaeological Museum has it all including its famed Sala delle Mummie or Room of the Mummies. This Dominican convent-turned-museum gives visitors a chance to travel back in time to 15th century Florence. Learn about one of the great masters of early Renaissance painting, Fra Angelico as well as the history of this Medici-sponsored religious complex. Bequethed to the city of Florence in the 20th century, Herbert Percy Horne’s private residence in the Santa Croce neighborhood offers a wonderful collection of Gothic and Renaissance works of art as well as many rare household items from the 14th through the 16th centuries. Just outside of the city center, Frederick Stibbert’s villa features everything from Renaissance works of art to collections of antique armour to mummies. Stefano Bardini’s Oltrarno palace has an eclectic, yet stunning collection of more than 3,000 objects ranging from Renaissance paintings to sculptures to antique furniture. Started in 1299 by famed gothic architect Arnolfo di Cambio, the Palazzo Vecchio has served as everything from the seat of the Florentine Republic to the private quarters of the Medici dukes to the present-day office of the mayor of Florence. Considered one of the first Renaissance palaces, this one-time home of the Medici family boasts one of the most beautiful private chapels in all of Italy by mid-15th century painter Benozzo Gozzoli. Step back in time to the 14th century to see how Florence’s noble families once lived complete with domestic works of art and antique furnishings. This tour gives visitors a chance to see the evolution of palace architecture in Florence as well as learn about various the Florentine families who have lived behind their walls. At the heart of the historic center sits Florence’s most important religious site: the Cathedral of Santa Maria del Fiore. Visit one of the largest churches in Christendom as well as its accompanying Baptistery. Also features an optional climb up Brunelleschi’s famed cupola. 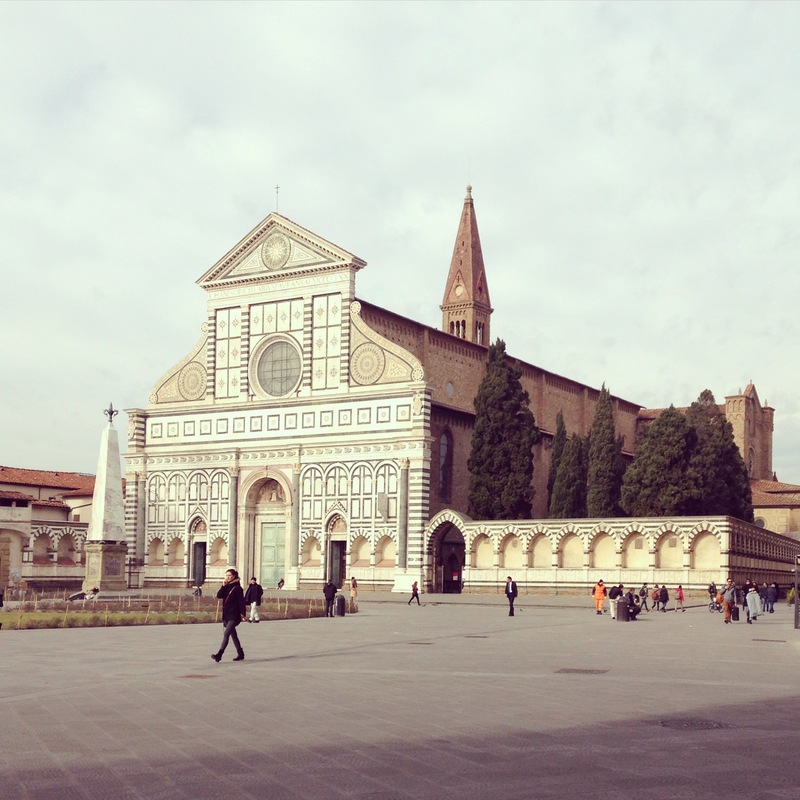 One of the principal mendicant churches of the city, Santa Maria Novella houses incredible works of art by Renaissance masters such as Masaccio, Domenico Ghirlandaio, and Filippino Lippi. Sitting at the south end of one of Florence’s fanciest shopping streets, the church of Santa Trinita is one of the city’s best kept secrets with works by artists such as Lorenzo Monaco and Domenico Ghirlandaio. Dating to 1294, the Basilica of Santa Croce is one of the most important churches in the city. In addition to its incredible artistic patrimony, the Franciscan church also serves as the “Pantheon” of Florence, housing the mortal remains of famous figures such as Machiavelli, Galileo Galilei, and Michelangelo. Explore these lesser-frequented churches on the south side of the Arno and admire works by artists such as Michelangelo, Filippino Lippi, and famed Mannerist painter, Jacopo Pontormo. The revolutionary Brancacci Chapel, frescoed by Masaccio and Masolino, has been a training ground for some of Florence’s best artists including Filippo Lippi, Andrea del Sarto, and Michelangelo. Learn the history of the church and its most important chapels. In addition to being one of the most visually stunning churches in Florence, Santissima Annunziata is also home to one of the most important miracle-working images in the city. Immerse yourself in the rich history of the church and its art. From Brunelleschi’s Old Sacristy to Michelangelo’s Laurentian Library, the Church of San Lorenzo seems to contain the entire history of the Renaissance within its walls. Learn why this church played a key role in the history of Florence while admiring works by Donatello, Brunelleschi, Filippo Lippi, and Michelangelo. Sitting along the Arno between the Ponte alla Carraia and the Ponte Amerigo Vespucci is the Church of Ognissanti. See works by Domenico Ghirlandaio, Sandro Botticelli, and Giotto. Visit two of Florence’s hidden gems: one of the first paintings of the Last Supper in Florence and one of the most haunting fresco cycles dedicated to the city’s patron saint, John the Baptist. 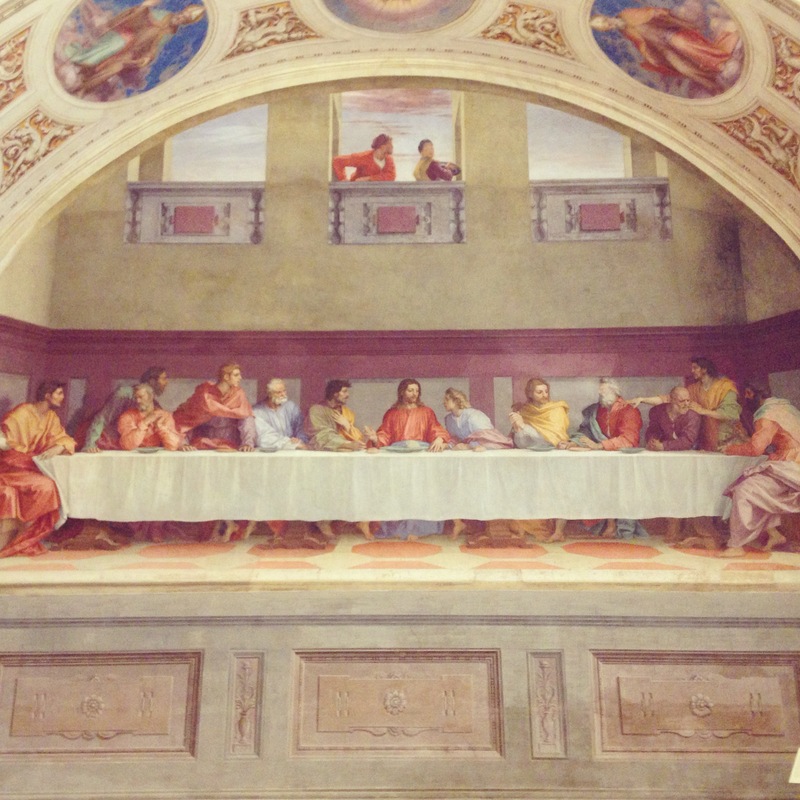 Considered to be one of the masterpieces of 16th century artist, Andrea del Sarto, the Last Supper in the former Vallombrosan abbey of San Salvi is one of the most beautiful frescoes in the city.